32 Hours: The New Full Time? Thank God it’s Tuesday. I love my work in the library, but one of the reasons I find it so enjoyable is that I’m usually there only 3 ½ days a week. I work Monday, Tuesday, Friday and Saturday (that’s the half bit). Every Wednesday (weather permitting) I join a friendly group for a 3 ½ hour to 5 ½ hour hike. I can’t tell you just how much I enjoy this. Not only do we walk in the some of the most beautiful and pristine places in the Far North of New Zealand, this time spent in nature works as a perfect counter-point to my time at work and with writing that cannot be done without technology. So while I watch full-time workers get progressively more stressed and sluggish as each week wears on, I’m fresh and raring to go every time I arrive at work in the morning. 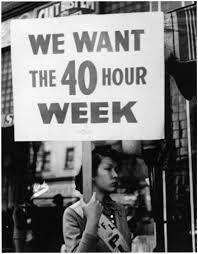 In the past more than 100 years worthy individuals have laboured long and hard to improve the rights of workers, introducing such revolutionary (at the time) concepts as the 5-day week and the eight-hour day. We’ve inherited this hard-won paradigm and it has worked well. But now, as countries the world over have privatised state assets such as power, telephone and rail we’ve experienced dramatic spikes in unemployment. This in turn has led to increases in crime and family violence. People without worthy work tend towards harmful actions. If every full-time worker dropped a full day of work, we’d instantly increase jobs by 20%. Yes, people would need to learn to live with less but they would then have the opportunity to discover what they could do with more spare time. 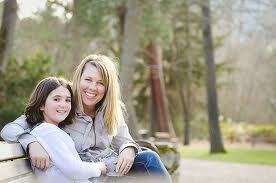 They could have more quality time with their families, join a service organization, exercise more. The opportunities are endless. They might have to live with fewer expensive gadgets, but they just might find, as I have, that life can be extremely satisfying, complete and meaningful when work and leisure time are in balance. If we all worked fewer hours perhaps we’d reach less for the short-term props of caffeine and sugar, the drugs that fuel our current over-full lifestyles. When I started work with the telephone company in Canada in the early 1980s I watched colleagues with management positions similar to mine retire one year and die the next. Some people are so married to their jobs that they forget or choose not to experience the wealth of life outside the workplace. If retirement frightens you why not ease into it by dropping one work-day a week every few years as you approach the gold card plateau? Why work too hard and spend your health trying to achieve wealth and then retire and spend your wealth trying to get back your health? Why not live now? Heart disease is the single biggest killer of men and women in New Zealand. There are many factors contributing to heart disease including lack of exercise and obesity. There’s another I’d like to address here: trans fats. In 1903 an American chemist named Wilhelm Normann discovered that by boiling cottonseed oil to temperatures over 260⁰C, it would solidify. Margarine was born. The multi-national corporation, Proctor & Gamble bought the rights to Mr Normann’s patent in 1909 and within a couple of years the company was marketing the first hydrogenated shortening. Until then housewives baked using completely natural products such as butter and lard. The American product Proctor & Gamble launched was called Crisco and it was a huge success. 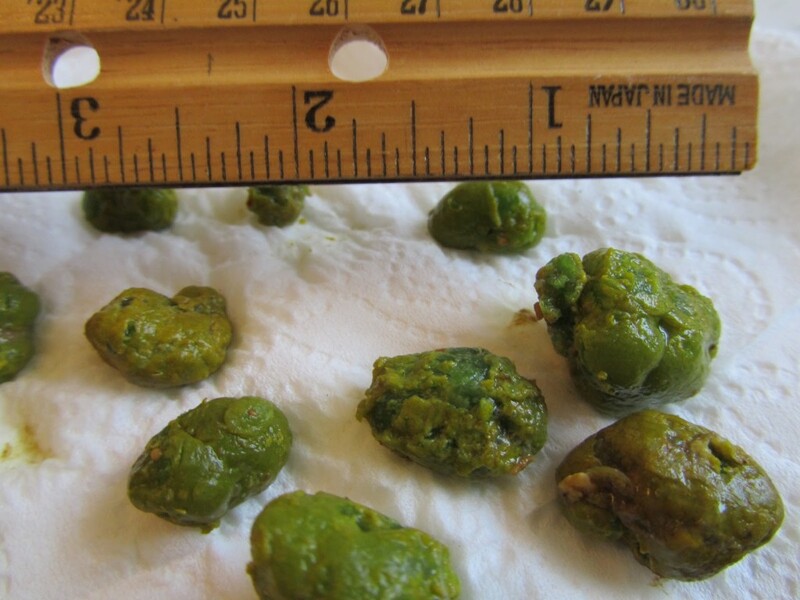 My mother used it in baking as did countless others in their kitchens in North America. The raw ingredient originally found in Crisco was cottonseed oil but today is more often soybean oil. Cooks loved these hydrogenated oil products because they were cheap, easy to work with and had a long shelf-life. Many deep-fried foods found in take away shops, cafes and restaurants have been cooked in these blocks of fat. They are used because they melt down easily, can be heated to high temperatures, and can be re-used many times. Trans fats are found in many bakery goods such as cakes, biscuits and snack bars, even some so-called ‘healthy’ energy cereal bars. They are also hiding in salad dressings, chocolate and peanut butter spreads, many children’s cereals, frozen desserts, potato crisps, dried soup mixes and more. Plenty of foods don’t contain trans fats including fresh fruit and vegetables, fresh meat, fish and poultry, milk, butter, yogurt and most cheeses, fresh eggs and uncooked grains and pastas. 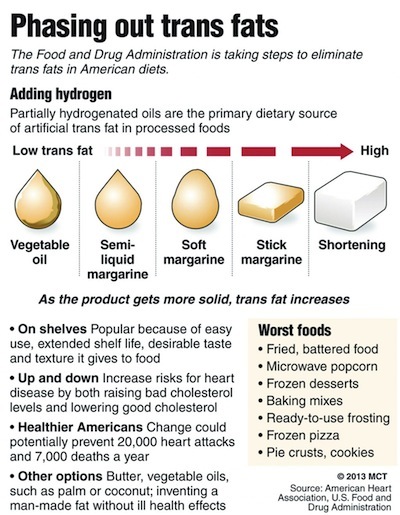 Only in the last 20 years have we realised that the hydrogenating produces a damaging by-product: trans fatty acids. One clinical health study found that increasing trans fat intake even in small amounts could raise the risk of heart disease by a factor of ten or twelve. In the United States, experts believe that up to 100,000 lives a year could be saved if hydrogenated vegetable oils (HVOs) and partially hydrogenated vegetable oils (PHVOs) were removed completely from the American diet. 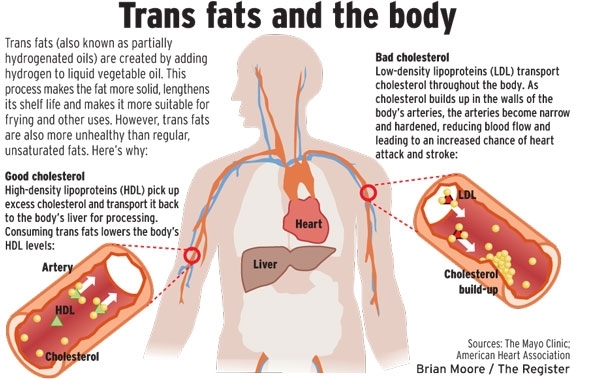 There is no such thing as a safe level of trans fats. The Danish government has banned the use of hydrogenated vegetable oil anywhere in the food production process. They did this beginning in March 2003 and within three years the country had seen deaths by heart disease drop by over twenty percent. That’s impressive. 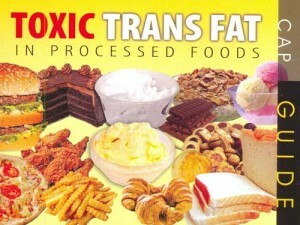 How can you protect your family from trans fats? First, add more of the fresh and safe foods mentioned earlier to your diet. Second, put on your glasses and read the fine print in food labels and eliminate foods containing margarine, vegetable suet, vegetable oil solids, hydrogenated fat, HVO and PHVO. I wish you the best of health. There’s a sign near the road on a rural property between where I live and where I work. It says simply: ‘It matters to me. God’ Doesn’t that say it all? In the nineteenth century, a tourist from the United States visited the famous Polish rabbi Hofetz Chaim. He was astonished to see that the rabbi’s house was only a single room filled with books. The only furniture was a table and a bench. “Where is yours?” asked Hofetz. The above story is adapted from The Song of the Bird by Anthony de Mello. I find it particularly apt at this time. In the Western world many crave greater and greater luxury. In China, India and other Eastern lands the masses are rapidly growing materially. But I wonder if it would not be valuable to observe the example of Hofetz Chaim. Although we’ve all grown up with the expression ‘You can’t take it with you’ we still seem hell bent on accumulating more and more. We want the bigger house and the fancier vacation. Many still crave status and importance. Our consumer mantra would seem to be: If enough is enough then more is better. But aren’t we just passing through? Is there any guarantee that having more things will bring us greater and more lasting happiness? We all know that’s not the case. So why the urge for more? 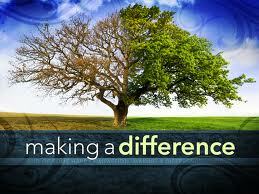 Perhaps we should lean towards making a difference in the lives of others, as so many volunteers are already doing. The feeling of satisfaction we get from a random act of kindness is, arguably, something we can take with us. I’m reminded of the story of the man living on a long and isolated beach. The beach was subjected to extreme weather so no one else chose to live there. One night there was a tremendous storm—the worst the man could remember. Sound familiar? 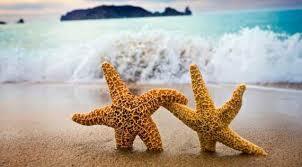 The storm had washed up countless starfish and the man was amazed to see many were still alive. So he bent down and picked one up and heaved it into the sea. He did the same for the next, and the next. When he stood up to stretch his back he saw a runner approaching. The man returned to his task. There are so many ways we can each make a difference. There are so many who can benefit from our help. There are 7 billion people in the world today. Each of us need only do our little bit. It does make a difference.